Considered one of the great masters of world cinema, Iranian filmmaker Abbas Kiarostami is lesser known for his photography and poetry. Hopefully, this lack of awareness will soon change with his new Doors Without Keys photo exhibition at the Aga Khan Museum in Toronto. The installation features Kiarostami’s detailed photographs of doors taken in France, Italy, Iran and Morocco, presented in a labyrinthine space. Paint-peeled, weather-torn and bearing witness to a bygone era, the doors evoke a sense of curiosity and wonder. The exhibition is accompanied by wall inscriptions of Kiarostami’s poetry and soundscapes taken from his short films.  As an autodidact multidisciplinary artist, Kiarostami found respite in photographing nature during and after the 1979 Islamic Revolution, when filmmaking became a volatile business in Iran. 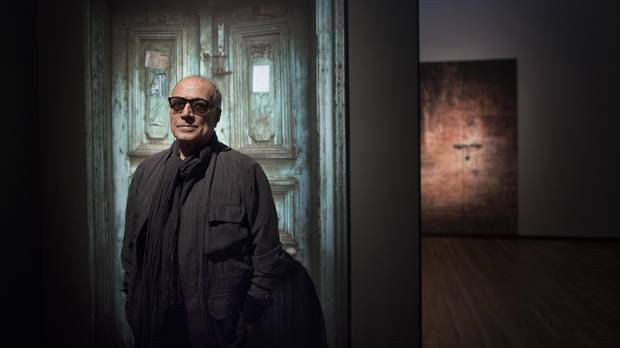 The Globe and Mail sat down with Kiarostami to discuss the connection between his photography and cinema, and how doors have changed around the world. You once said taking digital photos offered more freedom, but that film is thoughtful and reflective – qualities I’d ascribe to your work. Have your thoughts changed on this subject? I’ve since quit film and I’m sure I would’ve done something else if digital hadn’t appeared in the field. I couldn’t take having such a bad-tempered and unfriendly ‘partner’ to work with any longer. I don’t know if this feeling came out of working with film itself or the labs, which at the time weren’t so advanced in Iran. But now I have this beautiful partner called digital that I’m devoted to. Digital photography is unfinished photography: It helps you go along part of the path, and then you get to go home and finish it the way you wish in your own personal lab. Your earlier photos of trees and nature taken in Iran could have been from anywhere in the world. Some read into this politically, as the photos show the universality of landscapes and geography. Similarly, in this exhibit, we don’t know exactly where each door came from. We can only guess. It does not really matter where they were taken. For visitors, it’s quite difficult to distinguish the context, but of course the doors are also testimonies of their history and culture. The juxtaposition of the doors is a sign of how close these cultures are, or were, at least, because they all had the same definition and meaning of a door. Doors have changed dramatically in the last two decades. They’re now very different according to the culture you are in, and they’re no longer what they used to be. But as you stand behind them like you can in this exhibition, you feel like they will never open to let you in. The closed doors pique the viewer’s curiosity to know what’s behind them. Your films also pose questions to the viewer that they don’t necessarily answer. Do you consciously seek to provoke viewers? For people of my generation, the idea of these doors is an experience that we all share. Maybe for people of your generation there is a curiosity of what is going on behind the door. And for the younger generation, kids who are being born now, it’s a mystery how we ever lived with doors like these. Kids need that transparency, they need to know what’s behind them. How was it ever possible to live with a door that hides the other side from you? There were doors in which messages were carved on them, that said, ‘I came, you are not here, and I left.’ God knows who came and why they left. At the time, there weren’t phones so you couldn’t even call to say, ‘I’m coming.’ You would just go and bang on the door, and hope for someone to answer. There was no ringer, there was no box to leave a note. This is the meaning of the closed door, and the will of the person behind it, to either open it to you, or not. This is the experience of the unknown. What’s behind the door for you? It’s not that I don’t want to answer this question, it’s that I can’t. I don’t think any of us can. All we can do is guess and imagine what’s behind the door. Maybe that’s why it’s difficult for the younger generation to conceive. These are doors from a different period, when they didn’t have codes. Nowadays, you can’t find a single door without a code. If you have the code or key, you can open the door. Back then, you were dependent on the other person to maybe come and open it for you. Personally, the doors are evocative of those old days. It reminds me of my grandmother’s door. I remember it would take her ages to open it, and she’d have her hands on her knees from the kinds of pain that people today no longer have to keep suffering from. There was also maybe the pain of not having her children visit her as often as she wished. Photography and poetry are introverted arts, while filmmaking is intensely collaborative. How does your process differ? Photography is an individual process. There is much less external intervention than filmmaking, which can be generally disruptive, if not destructive. Photography lets you go where you want to go. That’s not the case of cinema. Whether we want to or not, and even if we claim we don’t, we have to pay attention to the audience’s taste and expectations and our relationship with the film’s financial investment. I often say a photo is a single-shot film. It’s a film without this narrative responsibility and obligation of telling a story. When you take a picture, you can take it home, judge what you want to do with it and then maybe present it to others. As a viewer, you are free to have your own interpretation, to tell your own story and build your own narrative, and I’m free of the responsibility to create a linear narrative that has to relate me to the viewer, or that has to relate different viewers together. Abbas Kiarostami: Doors Without Keys runs at Toronto’s Aga Khan Museum through March 27 (agakhanmuseum.org). Kiarostami will also appear for a discussion of his cinematic career at TIFF Bell Lightbox on Nov. 23 (tiff.net).